Tickets for Nickelodeon Double Dare LIVE! are on sale now with tickets starting at just $20! e-mail me at lisa@oaklandcountymoms.com. Put DOUBLE DARE SLIME in the subject line and don’t forget to include ALL of your contact info (name/e-mail/phone #). Please let me know if you’ve completed steps 1-3. I’ll accept entries through Monday, May 6, 2019 and random draw/notify a winner on Tuesday, May 7, 2019. 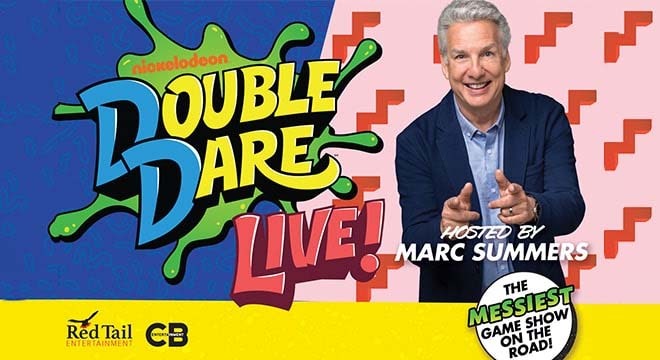 The winner will receive 4 tickets to see Nickolodeon presents Double Dare LIVE with Marc Summers at the Fox Theatre for the 7p performance on Wednesday, May 15, 2019. Winner will be announced on the page on Tuesday, May 7, 2019.